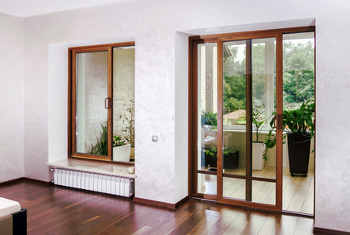 Are you looking into door installation 20814 services in Chevy Chase, MD? You might not notice, but the doors to your business or home disclose a lot about what lies ahead beyond those doors. If your entry doors are aged and unattractive, what message do you really think is portrayed to the community with regards to your residence or office? 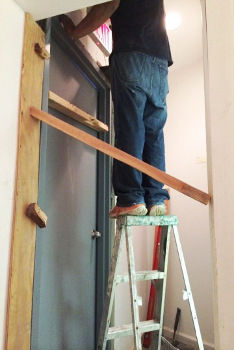 From time to time, it’s a necessity to modernize these outdated doors or to make regular repairs. The benefits to install a new front door in the 20814 area are limitless. Maybe your entry door is weathered and has seen better times? Or possibly you are just remodeling and want a new entry door to match your remodeled home or office. On the other hand, the door might simply need minimal repairs for example doorjamb repair, door frame repair, and door hinge repair. Customers usually call for repair or replacement of internal doors for causes like wear-and-tear or defective door hardware. Luckily, whether or not the doors to your home or office will need maintenance or a complete upgrade, King Door and Lock Maryland and DC has your garage, home, and commercial door repair and door replacement requirements taken care of. Our company offers full Montgomery County door installation services for homeowners and business owners of Chevy Chase, MD with fast and friendly service, transparent pricing, and ’round the clock door assistance. We are your go-to, honest business that takes pride in providing outstanding services to Chevy Chase locals. All our technicians are extremely skilled and trained, and we focus on the repair and installation of residential doors, commercial doors, and garage doors. Your home’s or business’ garage has a few important jobs. It’s the place where you probably park your vehicle or where you store personal items. It’s also an entrance to your house, meaning if the overhead door to your home isn’t in working order it could encourage thieves. When your garage door abruptly breaks, you might be locked out or in and unable to leave the garage unattended. This can be prevented by having your overhead door inspected by a professional and with garage door repair in 20814. In the inspection of your overhead door(s), in case a concern is detected by one of our expert technicians, we can tell you what repairs are necessary to avoid issues later on. Your house is your haven and therefore, you need properly functioning entry doors to keep your family free from danger. Have confidence in the technicians at King Door and Lock to repair and install all exterior and interior residential doors. One of our areas of expertise includes fixing and replacing patio doors for residences in Chevy Chase, Maryland. In addition, we replace and fix household doors for Chevy Chase residents including: repairing entry doors; front door replacement; interior services like the repair and replacement of bedroom doors, pocket doors, patio doors, and closet doors. Our company specializes in the repair and installation of office doors including: storefront door installation, automatic doors, and installation of fire-rated doors.If you’re a business owner, then it is important to maintain the doors to your building. It is important to keep the individuals who enter and exit your office’s entrance doors protected. Each time a door isn’t functioning properly, notably an automatically closing/opening door, it could possibly cause an unfortunate injury. Additionally, if the doors to your commercial property aren’t working properly, it might influence electricity bills as well. When you have a door requiring repair work, we’ll let you know honestly whether or not it might be more cost-effective for you to fix the door or have it replaced. With honest, upfront prices, experienced technicians, and a friendly staff, you can expect services that will exceed your expectations. Call now for a free quote or to discover more about our door installation 20814 products and services! Door Installation 20814 Company in Chevy Chase, MD https://kingdoorandlock.com/maryland-door-installation/montgomery-county/chevy-chase/20814-md/ 3.8/5 based upon 12 reviews.